It all started in her sophomore year in high school – Yiana Stavrakis, who desperately needed an after-school job, met someone at a bar mitzvah who changed her life forever. Stavrakis fondly remembers how her gym teacher, who was aware of her situation, introduced her to Steven Gross at the event. Gross, who was then the CEO of Metro Insurance Services, coincidentally needed someone to fill a part-time spot. The rest is history. Metro Insurance Services opened a lot of doors for Stavrakis. With extensive underwriting experience, she landed positions at Preferred Concepts as assistant vice president for operations and at AmWins Group as vice president for relationship management. 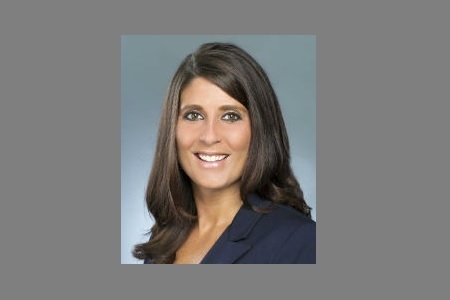 Stavrakis currently holds the chief sales officer position at Specialty Program Group where she creates and implements sales, training, development, marketing, and community involvement strategies. Insurance Business talked to Stavrakis to get her insights on the industry. Bench-strength in our industry is something insurance professionals have been talking about for years. Many insurance associations are actively visiting colleges to garner interest in this space but once the graduates are in the workplace, we need to encourage all generations to put aside differences in behaviours and work together. We can attract younger professionals into our industry but if we focus on our differences, how can we train the up and coming group to take our place? I also believe diversity is still a huge issue; differences in experiences and cultures and the ability to solve these differences will create a competitive advantage for the organizations that push diversity. Do you think a glass ceiling exists for women in the insurance industry? How do you overcome it? I do believe there is still a glass ceiling for women but it is at a different point in our careers. Women are very present in our industry but not in executive level positions. As you start to grow in your career, you notice less and less women representation. I suggest building a network of successful women that you can bounce ideas and situations off of. I also believe you need to stand up for yourself and ask for opportunities; taking your future in your own hands and finding the right organizations that will support your growth are very important. I once received great advice from an extremely successful woman in our industry about not letting the injustice create hate in your heart. Keep pushing forward! What or who do you think has been the secret to your professional success? How do they motivate you? While there are important characteristics an insurance professional needs to have to be successful (hard work, perseverance, emotional intelligence, continuous learning), mentors and advocates play an extremely important role. I believe in Malcolm Gladwell’s Outliers concept which highlights that innate ability only in conjunction with opportunity creates success. Steven Gross helped me grow from a disadvantaged youth in New Jersey to a successful insurance professional. He believed in me, showed me the importance of volunteer work in our insurance community, taught me the fundamentals of insurance, encouraged me to obtain my licenses, CPCU, and ASLI and most importantly, taught me work ethic. Melanie Alberico, SVP of client relationships & resources for AmWINS, was also very instrumental in my career; she taught me behavioral techniques to help me succeed as a woman in this industry. Her influence is most important as I develop into leadership today and when I encounter a stressful situation, I always think of what she would do before reacting. She guides me daily without physically being here. Finally, Chris Treanor, CEO of Specialty Program Group, has had a huge impact in my career. He taught me how to evaluate and operate businesses & P&Ls – he taught me the true meaning of EBITDA while also showing me how to lead with the greater good always in mind. Chris is bringing me to the next level in my career and each advocate I have been lucky enough to engage has played an instrumental role in my life for different reasons. Please tell us about your involvement with NAPSLO. How did it contribute to your career in the insurance space? Steven Gross introduced me to NAPSLO when I was 22 years old; he was the Board Liaison for the career awareness and internship committee and was looking to build an under 40 group which I helped create. My involvement in NAPSLO was fundamental to my success in the insurance industry; not only did I become lifelong friends with the younger successful professionals I met though NAPSLO’s Next Generation (now WSIA’s U40 group) but I also had exposure to company CEOs and presenting during board meetings. I guarantee that I would not be where I am today without my involvement in this national association and would encourage all young professionals to get involved. The networking aspect is invaluable. I deeply believe in the company I work for today. Specialty Program Group is a newly established firm with the goal of acquiring and growing underwriting businesses throughout North America. I have a deep connection to the MGA space, growing up at Metro Insurance, and find satisfaction in helping previously independent firms grow and scale to something they never imagined. We are unique in the fact that we acquire the best businesses in certain industry segments and let them operate as they always have; my team is a resource to help with distribution, markets, M&A, process, workflow, and IT. The SPG team has deep experience in the MGA specialty space which makes it a perfect partnership for businesses who want to take their firms to the next level. What are the three most important qualities for someone to thrive in the insurance industry? If you could witness one event (past, present or future) what would it be? I am actually witnessing the most important event in our industry today by watching Inga Beale, CEO of Lloyds, change our industry one action at a time. Pushing for equal pay, showing women in our industry we can make a difference, that we do deserve a seat at the table, and it is no longer acceptable for the unjust old habits to continue. I see her actions today creating a more unified, inclusive environment in our industry and not just for women but for all different people. This will elevate all of us into the next level where solutions are going to change based on the changing demographics of our consumers and employees. I am grateful I get to witness it first hand and hope we can all influence our community the way she is and has been able to do. Fitness and reading are my main hobbies at this point in my life. I am really focused on self-development in both my career and personal life. Fitness is also very important to me as it keeps me healthy but also allows a release from the stress we encounter in such a rewarding but challenging industry. More than ever before, our industry is focused on the mental and physical health of their employees. Working ourselves to the bone is no longer an indicator of success and has been replaced by the ability to balance work and life successfully. How will driverless cars impact the auto insurance market?